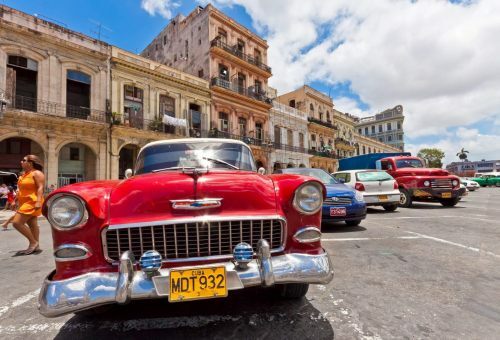 Yes, you are reading that correctly, Air China has just launched non-stop flights from Montreal to Havana, Cuba (HAV) with an introductory price of $367 CAD roundtrip including taxes. The flights are 3 hours each way. Try dates between December 2015 and March 2016. There are a large variety available. Another interesting thing is that Christmas and New Year's dates are currently available at this price. Dec 27 to Jan 2 or 4 for example. 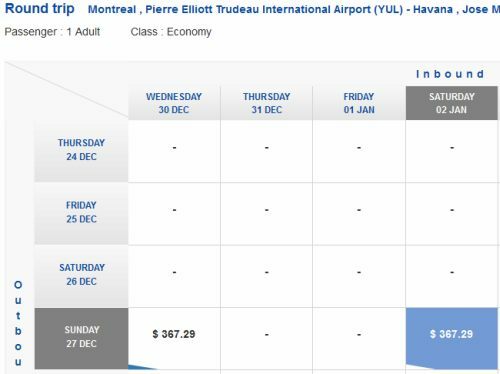 montreal, yul, flight deals, cuba, caribbean, western caribbean, havana, hav and greater antilles. No Responses to "Montreal to Havana, Cuba - $367 CAD roundtrip including taxes... on Air China? | Christmas and New Year's dates available"